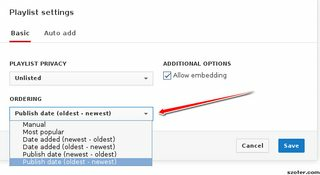 With TubePress 4.1.0 and higher, controlling the sort order of videos in a YouTube playlist must now be done directly on you youtube.com instead of from within TubePress. This is a limitation imposed by YouTube and is unlikely to change in the near future. 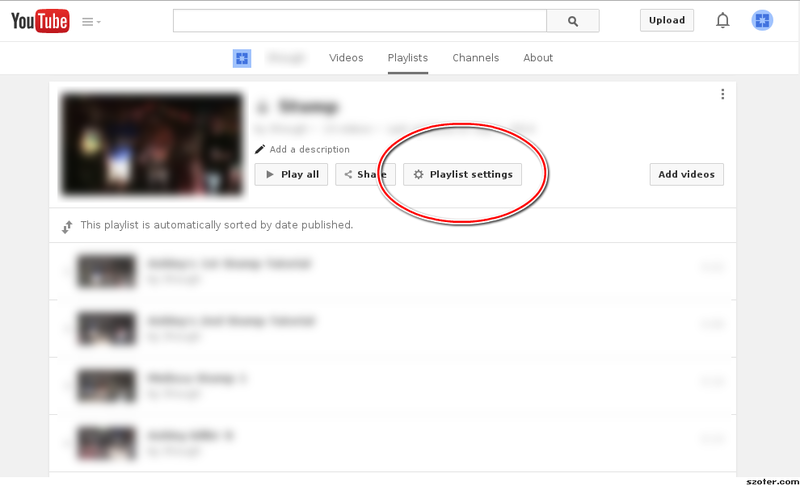 From your playlist management page on youtube.com, click the "Edit" button for the appropriate playlist. 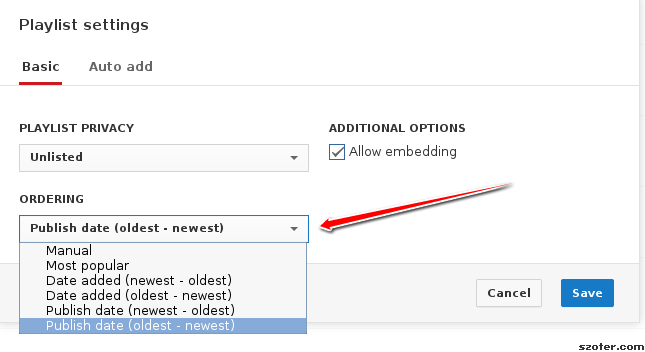 Use the "Ordering" dropdown to select your desired sort order. 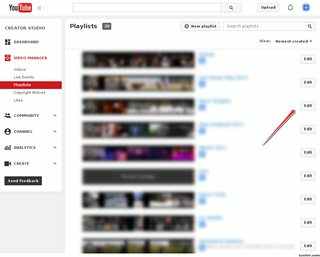 TubePress will now display the playlist in the order that you have selected. If you have enabled TubePress's API cache, it might take some time for your changes to show up on your website. I have already done this. It is still oldest to newest. . . Wrong Answer . . . .
Are you using the TubePress API cache? If so, as Eric stated, this could take time to implement. Not working for me either.. When I use the Playlist Option: i.e The URL to any YouTube playlist (e.g. http://youtube.com/p...8A83AD3506C9D36) or just the playlist identifier (e.g. 48A83AD3506C9D36). That brings up the oldest first.. When I use the YouTube Search feature with the Name of My Playlist it's ordered correctly.. 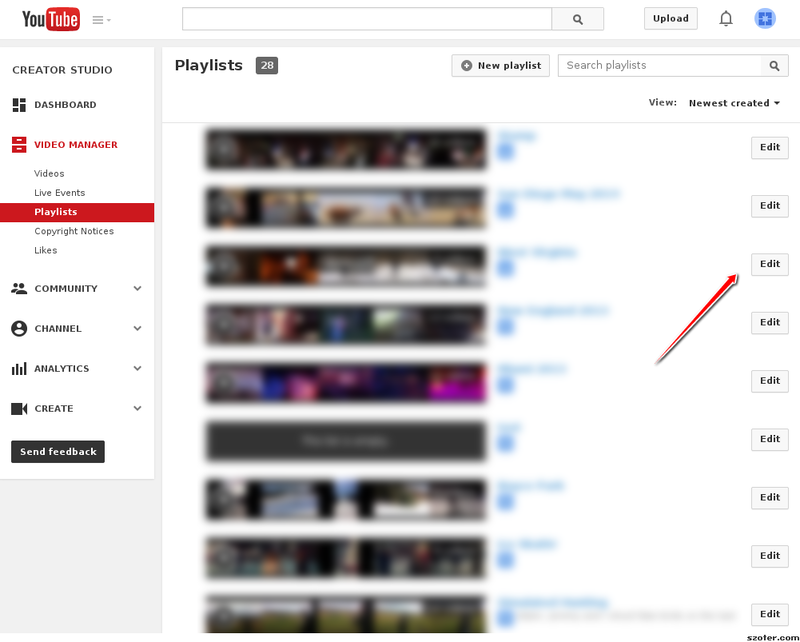 I did turn on API Cache & My YouTube Playlist is set up correctly and displays correctly on my channel - Newest first.. It's now working.. I guess the API Cache took way longer than I thought it would.. or perhaps when I changed some other parameters on the theme made a difference.. who the heck knows.. So I'm going to upgrade in the next couple of days after it runs stable for a bit.. This didn't work for me (sorting). My playlist is already sorted newest-oldest in YouTube, and I have the API cache set to 60 - so it should have updated by now (that means 60 seconds doesn't it?). It's showing the latest 3 videos - but in oldest-newest order. It's very frustrating because I want to upgrade to the pro version, but obviously won't bother if I can't get this to work. Please help!